I'm back, and super excited - less than a week until our new EP "I Believe" drops!!! You are going to hear an amazing difference in our sound with this release: Fuller vocals, sharper guitars, tighter snare cracks. What happened? We're still DIY, lofi, and self-produced, but experience and taking a little time to figure things out with our recording tools (thank you Reaper Forums) has made a world of difference in our sound! So you'll hear great songs, but you'll also hear a greater richness in sound and texture! So to the EP, today’s song really shows off the advances we have made in the studio. "Sorry Don't Feed the Bulldog" is a slow burning rock song with a serious groove, a groove our new recording techniques made possible! Joe heard the phrase on a rerun of MASH a long time ago, and turned it into a killer track with a thrashing drum sound, a pulsing rhythm guitar, distorted slide, and a stingy lead. One more blog before the April 26th release! Please stay tuned – you will not be disappointed! Hi everyone! I’m back!!! As you know by now if you’ve been following the blog, we have a new EP coming out April 26 titled “I Believe.” Today I’ll be talking about track 2, “Today It’s Getting Better.” We think every new song on “I Believe” is amazing, but if we had to pick a lead single / top track, this would be it! “Today It’s Getting Better” is a jangly pop song about being positive, or rather talking yourself into positivity. It’s funny, because in its original incarnation, it was an extremely dark song about alcohol and depression called “Drunk Sad Man”. Yes, that title was horrible, and yes, the words were as bad as you are imagining!!! Fortunately, we shelved it until we could come up with a better lyric. And what’s better than pure optimism! This gets to a bigger issue that I’ve had with writing at times - it’s a lot easier to pour yourself into a song when you are really feeling something, and typically the feelings that push you to have an outlet are the negative and sad ones. So a lot of our songs tend to come from a darker place. But I’m working on it, and you’ll hear some amazing optimism and joy in these songs, especially “Today It’s Getting Better.” It’s a killer song – catchy and bright, and very Big Star / REM influenced! Can’t wait for you to hear it!!!! Release Date Set for "I Believe"
Hi everyone, Thomas here again, with a new blog on our new release! If you read the first blog, thank you! If not, check it out below!!! So, first the big news – we have a release date! 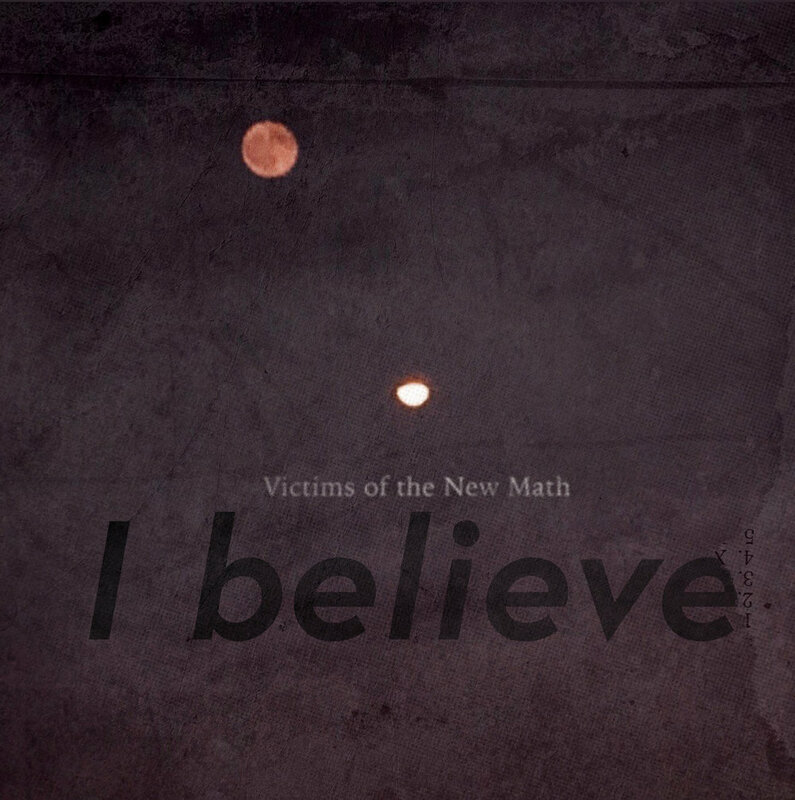 April 26 will see the premier of our new EP, “I Believe!” We will have more news coming soon about where you can listen to the track premiers and buy or stream the songs. Also, we have some extra cool things we are trying to put together for the release, so stay tuned for all of that in future blogs over the next few weeks! About the EP – we are going to highlight a song with each blog going forward until the release. The new music itself is a cool mix of sounds, maybe none cooler than the almost slick sounding space rock of the opening track. “We’ll Ride” is a great rock song about refusing to conform, refusing to be held back, ay, venturing out and finding you freedom. It was inspired by the frustrations that sometimes come with everyday life and wanting to get away. It opens with a slow instrumental build, just an organ and some funky, dissonant guitar, that gives way to the full band counting in, taking off, and rocking out. We think “We’ll Ride” is a perfect opening track and can’t wait for you to hear it and see if you agree! 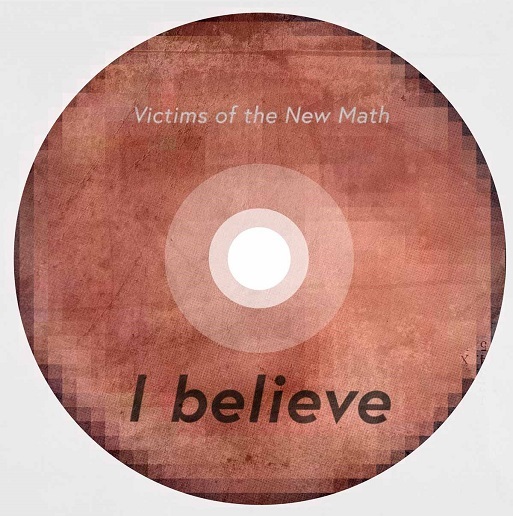 Hey everyone, Thomas from Victims of the New Math here with some exciting news – We have a new EP coming out very soon!!!! The EP is titled “I Believe.” This will be our 4th release, our first release of 2019, and our first ever EP, with all our other releases being full albums. Why the change to an EP? Well, in the modern music world, there is a ton of product and information coming at people pretty much non-stop. We received some good advice from our publicist that sometimes less is more – with so much out there to choose from, presenting 4 or 5 songs instead of 10 to 15 is much more palatable to the listener. And trust me, I get it. An album fan all my life, it pained me a bit to scale things back – In my mind albums are great because they allow so much for an artist – a few feature tracks (your single material), some up tempo rockers or songs with a good groove, some slow songs, and some experiments to challenge your fans a bit – all sequenced to the perfect listening experience. I just think albums allow so much creativity, and give you the chance to take a few more risks with your sounds. But with so much product floating around, full albums can be intimidating to listeners, especially when you are relative unknowns trying to build an audience and don’t have a huge following (yet!). So here we come with an EP of 6 songs, six songs that cover just under 18 minutes of what we think is pretty terrific music. I’ll be back next week to talk release date (end of April – I’ll have the specific date soon) and influences for the tracks. In the meantime, check out the cover art – a pic of the blood moon my son Nick took, that our good friend Nick Markwardt applied his magic to, creating the awesome image and lettering you see here! Thanks for checking out the blog. Weigh in on the LP vs EP debate – what do you prefer? What is more likely to catch you attention?